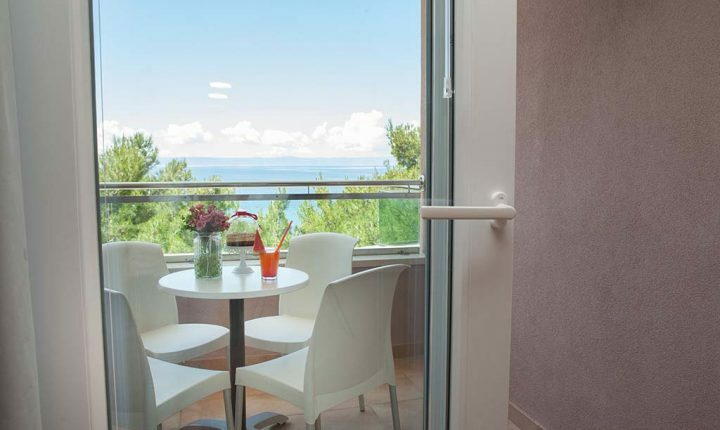 - Apartment (2+2), balcony, sea view – a good choice for families with smaller children or couples who want more space. It conists of bedroom with a double bed, equipped kitchen and living room with a sofa which can serve as extra bed for one adult or two smaller children. Apartment is located on the top floor and is boasting magnificent views of the sea and the islands of Brač and Hvar.